The Cartoon Art Museum is a great space in San Francisco dedicated to cartoons and comics – it makes sense that Pixar has developed a close relationship with the museum. 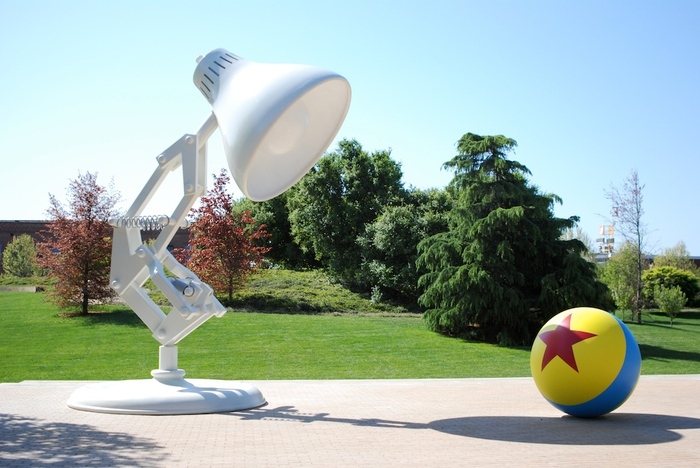 Events to raise money for the museum are held annually at Pixar (although there was no event last year), with tours being given and incredible (original) artwork auctioned off. And yes, those with tickets to the event also get to visit the employee-exclusive shop at the studio. 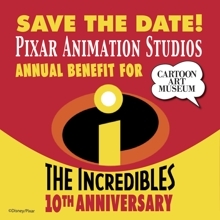 This year’s event, being held on Saturday, May 17th, celebrates the 10-year anniversary of The Incredibles, which was released in theaters in November 2004. A Q&A session will be held with several members of the filmmaking team scheduled to appear, including director Brad Bird, head of story Mark Andrews, supervising animator Tony Fucile, director of photography Andrew Jimenez, and storyboard artists Ted Mathot and Kevin O’Brien. Tickets are definitely on the expensive side ($500 for the general public, $450 for museum members), but with good reason – it is a fundraising event, with the proceeds going to a good cause. Think of it as a once-in-a-lifetime opportunity that supports a fantastic museum. Click here for more details and to purchase tickets – the event always sells out, so if you are considering going, you should make your plans ASAP.